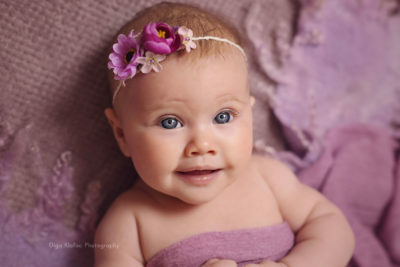 You want amazing photos of your baby. No, not iPhone snap shots. You want something special that you could never create at home. Something unique that will show off your baby’s cute features. Photos that are so amazing you will proudly hang them on your living room wall and that will draw you in every time you pass around them and wow your friends and family when they visit. But there are so many different photographers in every town. So how do you know who to choose? Should you hire me? Maybe. Read on to find out if I’m the right photographer for you and what the experience with me is like. 1. Do you love my style? Spend some time browsing my website, have a look through the different sections and check my blog for selection from recent sessions. You can also have a look at my facebook page and read through what others say about working with me. 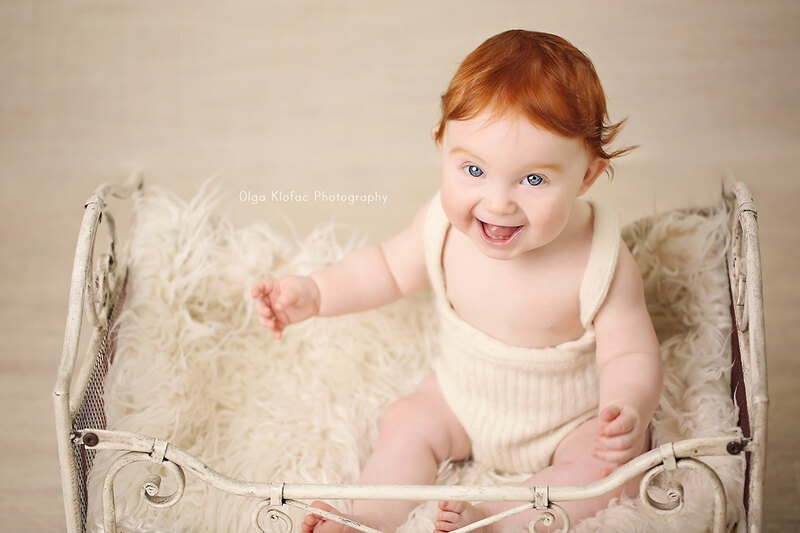 I photograph babies. Not weddings, not horses, not corporate events. I’m not a jack of all trades. I specialize in the little people in your lives that you love so much and concentrate on them exclusively. My style is contemporary. I like simplicity, I like tenderness, I like delicacy. 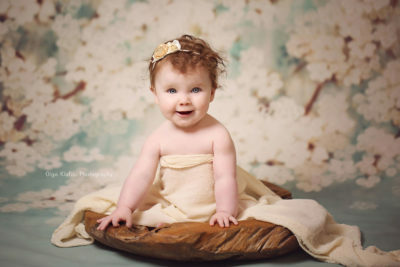 I like the creamy tones of babies’ skin and I love neutral and subtle colours. What I detest is selective colouring. I think it’s bad taste and you will never see me applying that technique to your photos. Nothing tacky please. My clients describe my photos as “natural”. Also, if you’re looking for just a quick picture of your family, then I’m probably not the photographer for you. My passion is creating stunning portraits of your babies and I concentrate on this, I’m not a “family photographer”. 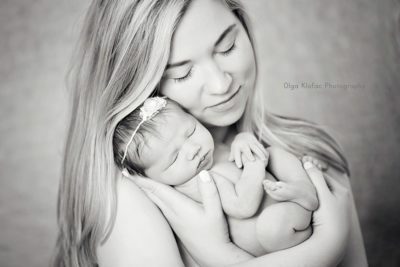 Although I love nothing more than capturing a bond between a new parent and their baby and I always take some candid parent-and-baby portraits at my newborn photo sessions, if your baby has older siblings they usually have their own ideas about sitting still on their parent’s knee and smiling for the camera! 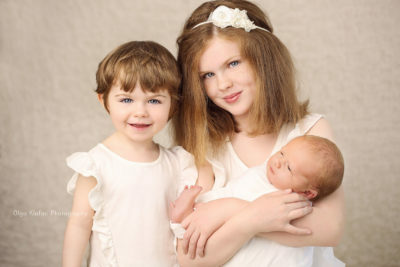 So if a family photo is the main reason you’re looking for a photographer, you might be better off finding someone who specializes in family photography. 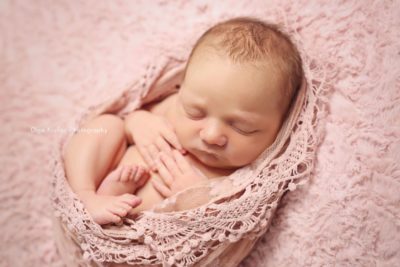 If, on the other hand, you’re looking to get some wow photos of your babies to keep you reminded of their beauty and innocence for years to come, then I can’t wait to meet you! If you love my work and are convinced my style is a good match for you, continue to the next step. If you’re not convinced, I suggest you look somewhere else. There is no point in hiring an artist and then trying to change the way they work. That’s like going to a Michelin Star restaurant and asking for a Happy Meal. Or hiring a rock band for your wedding and then saying to them on the day “Well we’re actually not too mad about rock, can you do blues instead?” That just doesn’t make sense. 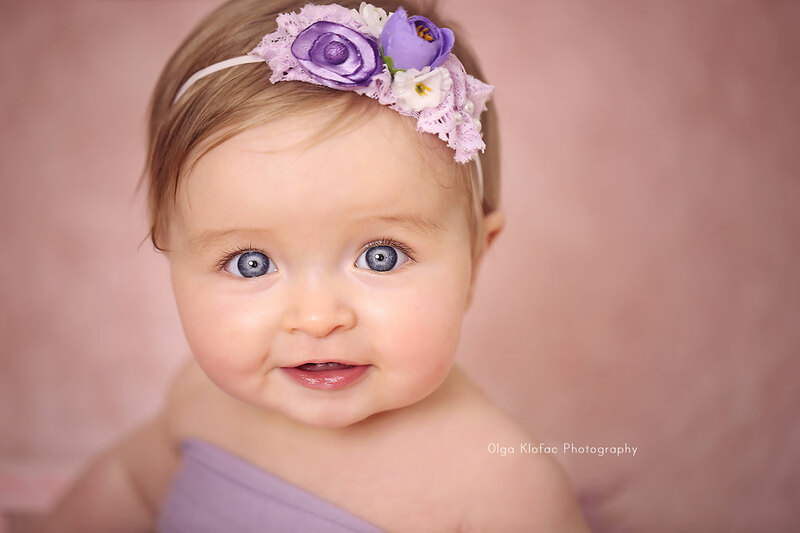 So if you’re not into headbands or would prefer to have your baby photographed in Mickey Mouse outfit, then I suggest you keep looking for a photographer whose style you are happy with. You will be looking at your photos every day on your walls, so you have to love them! I’m glad you like my style! Now you need to get in touch. Fill in the contact form here and tell me a little about your family (how old is your baby, when is your due date if baby hasn’t been born yet, how many siblings does s/he have…). I’ll reply straight away to let you know if I’m available for your desired date and send you my complete price list to look at. In order to give all my clients the time and attention they deserve, I only take limited number of clients every week. When we find a date that suits you, you will need to fill in a booking form and pay a booking deposit to secure your date. Once I receive these, I will send you your welcome pack with detailed info and tips for your photo session. Now you’re officially booked and it’s time to get excited! 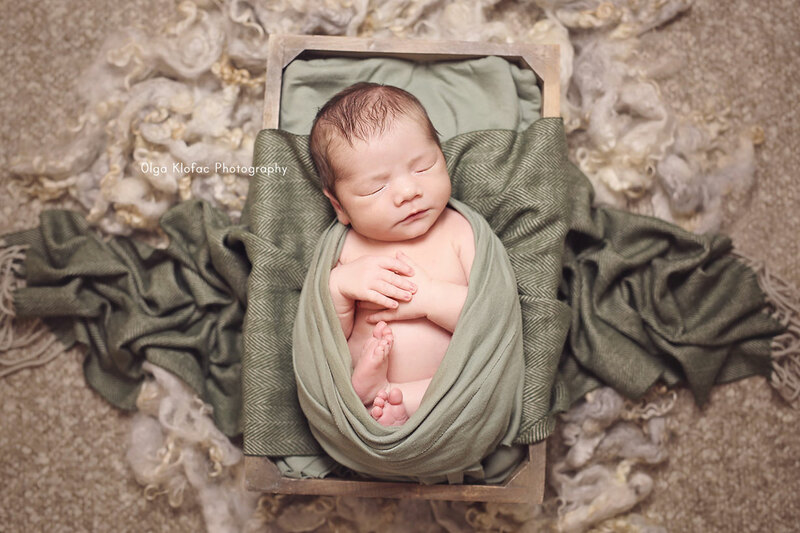 The photo session takes 1-2 hours and newborn session takes up to 3 hours. I don’t shoot the whole time. Most of the time we’re positioning the baby into those cute poses, swapping blankets, cleaning baby mess, feeding baby, burping or doing whatever it takes to make baby happy. After your session is over, you are full of excitement. You saw all the set-ups I used, the expressions your baby gave me, and you’re dying to see what’s inside my camera and how I captured what your eyes saw. I know exactly how you feel because I feel the same. After your session is over I can’t wait to plug my camera into my computer and see all the gems that are inside. I pick one or two of my favourites and start working on them straight away, so that I can show you this preview on the very same day. I upload it to my facebook page that evening and can’t wait for you to see it so that you’ll go to bed with a huge smile on your face. After this my work is only beginning. I go through all the images from your session and select the very best ones. I then go through every single one and carefully remove any blemishes, like baby acne, red splotches etc. Then I apply my magical touch to bring out the very best in every single photo. The editing process takes a while, but I strive to have your USB ready within 2 weeks. You can collect your USB or I can post it to you. If your collection includes a custom smartphone photo app, I will send you a link to download it on the same day you get your USB. If you wish to order prints, you will select which photos from your USB you want to get printed. Now you have your photos and they look beautiful. Your friends and family comment on how fantastic they look and everyone admires the sweetness of your baby. Fab!